An ambitious agreement set to strengthen trade and investment flows across the Pacific amid a climate of rising protectionism will go into effect at the end of next month. 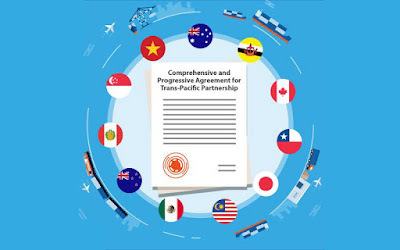 Yesterday, Australia became the sixth country to ratify the Comprehensive and Progressive Agreement for Trans-Pacific Partnership (CPTPP), joining Singapore, Canada, Japan, Mexico and New Zealand. Canberra's ratification means the treaty, which will enter into force on Dec 30, has been ratified by a majority of members. "Our ratification means we are guaranteeing maximum benefits for our farmers and businesses," Australian Prime Minister Scott Morrison and Trade Minister Simon Birmingham said in a statement, adding that the deal would see annual benefits of up to A$15.6 billion (S$15.3 billion) to the national economy by 2030. Singapore's Trade and Industry Minister Chan Chun Sing noted the development will "strengthen trade flows among countries in the Asia-Pacific, facilitating a more seamless flow of goods, services, investment as well as e-commerce". "We look forward to the entry into force of the CPTPP, which will send a strong signal of our collective commitment to trade liberalisation and a rules-based trading system," he said in a Facebook post. The significance of the pact was echoed by Japan's Economy Minister Toshimitsu Motegi, who said: "As protectionist moves strengthen across the world, the importance of free and fair rules is growing more and more." Vietnam is expected to ratify the deal this month. Brunei, Chile and Peru are expected to follow suit. However, Malaysian Prime Minister Mahathir Mohamad said his government has not set a date to ratify the pact. "We are studying it very deeply to make sure it does not have a bad effect on our economy," he told reporters yesterday. Countries will enjoy the benefits of the deal only when they ratify it. The deal's imminent launch brings to an end its troubled gestation, after United States President Donald Trump withdrew his country from the original Trans-Pacific Partnership (TPP) on his first day in office. Led by Japan, the remaining 11 members spent a year reworking the deal and ended up suspending 22 out of the over 1,000 provisions. The rebranded pact, also referred to as TPP-11, will do away with virtually all tariffs and other barriers to trading goods, and help shipments clear Customs more easily. 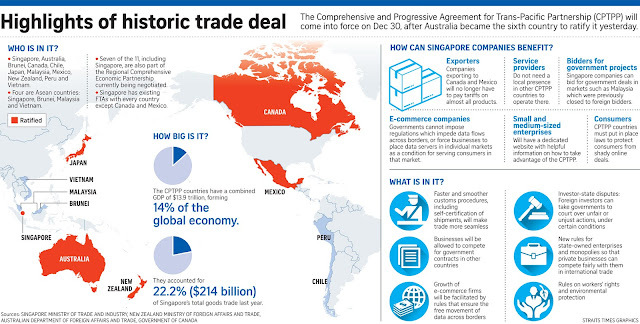 CPTPP countries accounted for $214 billion - a fifth - of Singapore's total goods trade last year. They make up a free trade area worth a combined $13.9 trillion. The CPTPP's ratification by a majority of members may lend momentum towards a broad agreement on the much bigger 16-nation Regional Comprehensive Economic Partnership (RCEP) being negotiated by ASEAN and six of its key trading partners - Australia, China, India, Japan, New Zealand and South Korea. RCEP talks have dragged on for five years as countries haggle over sticking points such as the movement of labour and treatment of services, but hopes are high for a broad agreement when their leaders meet at the annual ASEAN summit in Singapore in two weeks. As for the CPTPP, ratifying countries will see tariff cuts on Dec 30, and another round on Jan 1, 2019. Members also hope the deal will insulate them from a trade war. "By eliminating many trade barriers between its members as early as December, the CPTPP will help mitigate some of the negative impact on those countries of escalating US-China trade tensions," said Mr Peter Mumford, an analyst at risk analysis firm Eurasia Group. Interest, and membership, in the pact is also expected to grow. Colombia has applied, and South Korea is expected to raise its hand. Thailand is also expected to come under heavy pressure from Japan to join as manufacturers with operations there will be eager to keep supply chains within the membership zone, Mr Mumford said. It may not be the biggest gift in the world, but sometimes it is the thought that counts. With United States President Donald Trump warning he had plenty of firepower left to prosecute his trade war with China and with new fissures opening in the European Union with German Chancellor Angela Merkel's planned departure, news that the reboot of the Trans-Pacific Partnership will finally go into effect was almost as if Christmas had come early for rules-based trade. "It is the symbolism that is important," said risk analysis outfit Eurasia Group's Peter Mumford. "It is a relatively small share of the global trade, but it demonstrates the determination of countries to push ahead with trade liberalisation," he added. The pact's 11 members have a combined economic worth of US$10 trillion (S$13.9 trillion) - comprising some 14 per cent of the global economy. The only question is will other countries join the Comprehensive and Progressive Agreement for Trans-Pacific Partnership (CPTPP) - mercifully nicknamed TPP-11 ? And it is here where a not insignificant treaty may grow into something with more heft. The possible entry of South Korea and eventually Thailand, after it holds expected elections early next year, seems low hanging fruit. Admission of the United Kingdom, too, is not far-fetched. UK Foreign Minister Jeremy Hunt told Nikkei in September that a post-Brexit Britain would be keen to join the rebooted TPP. For CPTPP countries, the UK's entry would add momentum for the hoped-for re-entry of the US into the fold. For the UK, sealing an agreement, not withstanding any deal it may strike with the EU, would be proof of its promised post-Brexit flexibility. It also has to be said that a British deal to join the CPTPP means inking free trade agreements with six Commonwealth countries in one fell swoop, including Malaysia once it eventually ratifies the pact. That may resonate in an increasingly nostalgic UK. "I expect other signatories will come on board after the CPTPP enters into force," said New Zealand Trade Minister David Parker, whose country is coordinating the ratification process. Apart from its potential to grow into something much bigger, the CPTPP's ambition is a shot in the arm for the cause of trade liberalisation. On its first day, ratifying countries will cut tariffs by 90 per cent. Eventually, these will fall to almost zero. Japan, for example, will eliminate nearly all of its tariffs on industrial, agricultural and forestry products, until now no-go zones in trade negotiations. For the first time, the trade in data gets a mention, with protection for intellectual property and an end to requirements by some countries for firms to keep information stored "on shore". Signatories will need to open up sectors dominated by state-owned enterprises, with their governments submitting themselves to dispute settlement. It is for this reason that no one should expect China to come on board any time soon. Theoretically, China could cement itself at the centre of world trade were it to sign on to the CPTPP, on top of the upcoming Regional Comprehensive Economic Partnership. But that coup would come at the expense of surrendering far more state control of its economy than China would tolerate. "CPTPP would be very challenging for China," Mr Mumford said. Similarly, it will be hard for Mr Trump to reverse course and sign back on to the revised TPP despite encouraging noises at Davos earlier this year. With free trade proponents such as former National Economic Council director Gary Cohn out of the administration, the CPTPP has no champion in the White House. For now, the CPTPP may not be a big gift. But it is one that may keep on giving. Some may scoff at Mr Samuel Tan's lofty ambition to break into more competitive overseas markets, when the small Singaporean firm he co-founded is barely two years old. But a landmark trade deal set to take effect on Dec 30 may give small and medium firms like his a fighting chance when they expand abroad. 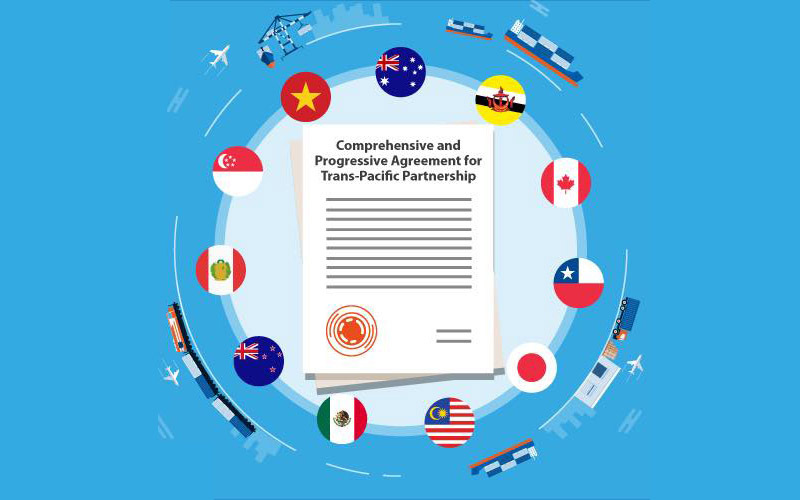 Tariff cuts, easier access to other countries' markets and the right to bypass restrictions on foreign companies are some of the sweet spots in the Comprehensive and Progressive Agreement for Trans-Pacific Partnership (CPTPP). On Wednesday, the pact crossed the majority threshold needed to bring it into effect when Australia ratified it. In addition, five of the other 10 CPTPP members have ratified it - namely, Mexico, Japan, Singapore, New Zealand and Canada. The rest - Brunei, Chile, Malaysia, Peru and Vietnam - are expected to do so soon. Whereas his company might previously have had to hire multiple data centres were it to expand to several countries, for instance, Mr Tan, 32, may soon only need one. The treaty would remove rules that force businesses to place data servers in individual markets in order to serve customers there. His firm, Auk Industries, makes industrial productivity tracking systems. But small and medium-sized enterprises (SMEs) like Mr Tan's are an exception. Many are still largely uninformed about the CPTPP, and know neither its benefits nor the countries involved, several business owners told The Straits Times. Association of Small and Medium Enterprises (ASME) president Kurt Wee said there was a need for more "structured information sharing" - such as business talks and overseas work trips - focusing on the CPTPP. This would allow more of the 200,000 SMEs in Singapore to learn about the impact of the treaty on their businesses, he said. "It is not that SMEs do not want to find out about the CPTPP, but many are unfamiliar with the trade agreement," said Mr Wee. For instance, many SMEs may be aware of the tariff reductions they would enjoy, but not the other parts of the treaty that could also be a boon - such as the ability to bid for government tenders in the other CPTPP countries, he said. Singapore Business Federation (SBF) chief executive officer Ho Meng Kit agreed it was important to help firms understand how the CPTPP benefits can be unlocked and translated into tangible gains. He added that the SBF is currently reaching out to business chambers to raise awareness of the CPTPP. A Ministry of Trade and Industry spokesman said it, too, is working with government agencies and trade associations to engage companies through outreach sessions and seminars, while Enterprise Singapore and the Economic Development Board will continue to help firms access and establish supply chains overseas, including in CPTPP markets. "(An open and rules based multilateral trading system) has benefited economies, big and small, and is especially important to an economy like Singapore, which is small, open and heavily dependent on trade," said the spokesman. Mr Ian Cummin, president of the Australian Chambers of Commerce in Singapore, said the CPTPP's goal of reducing barriers and promoting of fair international trade encourages growth for all involved. Trade with other CPTPP member countries accounts for more than 20 per cent of Singapore's exports. Singapore's economy and exports are also expected to grow 0.2 per cent more by 2035 because of the treaty. A landmark 11-nation Pacific Rim trade deal entered into force yesterday after years of bumpy talks, bringing steep tariff cuts to the first six countries that ratified the pact, including Japan and Singapore. Consumers will also stand to gain from the deal known as the Comprehensive and Progressive Agreement for Trans-Pacific Partnership (CPTPP). 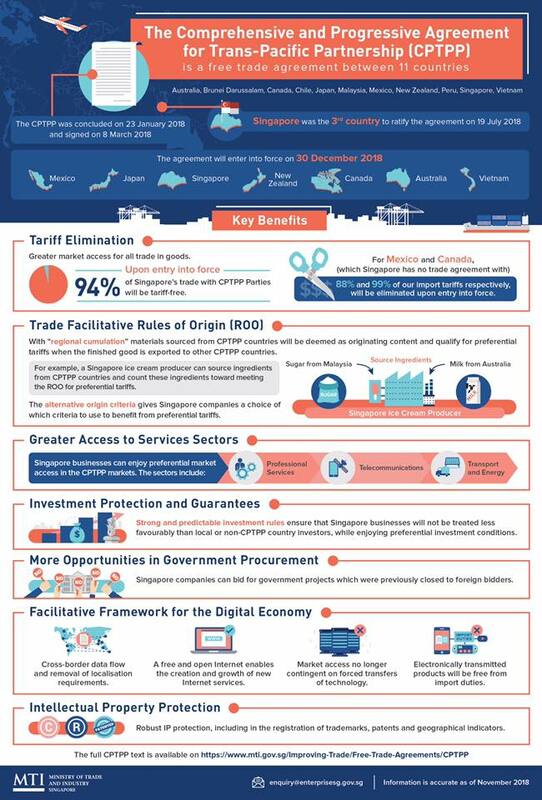 Singapore's Trade and Industry Minister Chan Chun Sing wrote in a Facebook post that the Republic's businesses can enjoy greater access to regional markets with the CPTPP entering into force. The trade deal, which was led by Japan to fruition, retains all but 22 of the more than 1,000 provisions in the original TPP that had to be renegotiated after the United States pulled out in January last year. The US Wheat Associates has expressed concern of an "imminent collapse" in the lucrative Japan market, with American exporters losing out to Australian competitors. Meanwhile, Japan is trying to mitigate domestic concerns among its farmers of an influx of imported goods by offering them support to expand their businesses. The 583-page trade deal document, covering areas such as market access for goods and services and e-commerce, kicked in yesterday for the six first-movers, which also include Australia, Canada, Mexico and New Zealand. Vietnam will officially enter the pact on Jan 14, while Brunei, Chile, Malaysia and Peru will only come on board 60 days after they complete their ratification procedures. With the CPTPP, tariffs were slashed to zero overnight for some products, while for others, they will be gradually reduced over a period of up to 20 years. With tariff reduction commitments mostly tied to the calendar year, a second round of tariff cuts will kick in tomorrow for goods from all countries save for Japan, where they will take effect on April 1. Japan will approach its upcoming trade negotiations with the US for a bilateral trade agreement on goods with an eye to eventually bringing Washington back into the fold of the pact, he added.